When it comes to PC problems, most people who are not technically savvy approach most problems by 1. Rebooting the machine then 2. Switching things on and off. If you are a little more advanced you may, after a few hours of frustration reformat the hard disk. This is a drastic step, but not uncommon and takes a few hours to get the machine working again, with all the software requiring re-installation. Failing that the next “standard” step is to take it to the repair shop where you can be charged anything from £20.00 up to £70.00 for service and that doesn’t include any spare parts! Is this really necessary, when all you may need to do is to buy a new card or click a simple box in windows to turn something on or off? All it may take to solve the problem is the ability to read simple instructions and of course access to the Internet to find the information you need. One of the best techniques, and first port of call to find help with a problem is to type the nature of the problem into a search engine box. For instance, if you are presented with a specific error number and message, such as “Error 550: Relay Not Permitted”, and type this into a search engine there is a good chance that the resultant web pages returned will describe exactly what the problem is. The next step is simply to follow the instructions and implement the fix. So where do you obtain free advice generally? If your computer is currently operational and you have windows XP or Windows Vista you can look at the built-in help that is available in Windows. This usually has a troubleshooting “wizard” built in. The wizard asks a series of questions and you provide the answers. If you don't like the response to a particular question you can abandon the wizard of trying something else. The wizard is okay for small problems but it is not designed to provide an in-depth problem analysis. So where would you look if you have exhausted all the other options? A good starting point is to type something like, “Free Technical Support” or “Free Technical Advice” into a search engine search box, like Google. This search should return quite a number of results. 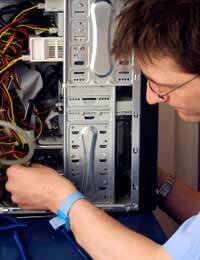 Some sites will offer free downloads of software to diagnose and even fix your PC problems. However, you should always be careful of downloaded software and it should always be virus checked. The best free advice is usually provided by Microsoft and other well-known technical sites. The downside is that sometimes the help provided is difficult to understand if you are not a programmer or someone technically advanced. Some sites provide Frequently Asked Questions (FAQ), which may provide answers to questions similar to your own. Some sites provide “Tips, Tricks and Tweaks” which may assist you in solving your problems and others provide full computer tutorials. The best sites offer free technical support with real people in the background will offer support on a voluntary basis. You can leave a message on the site stating what your problem is, and hopefully a suitably qualified technician will respond within a day or so. Type in the error message and code into a search engine, like Google. Search for “Free Technical Advice” sites. Use the “Help” section on your PC. Join free computer help forums and/or blogs. Leave a message on sites offering free “live” technicians. Look for “Trouble Shooting” FAQs on various PC help websites. Look for “Tips, Tricks and Tweaks” on various PC help websites. Take freely available computer tutorials on the Internet. There is literally tons of free information on the web around computer related problems, and for most problems the information is right there in front of you without any unnecessary expenditure. It’s just a case of finding the right site, and the most relevant information to help you solve the problem.